Hawkeye offers effective squirrel control and removal services for getting rid of squirrels. How to get rid of squirrels in your roof? How do you keep squirrels out of the garden? What is the cost to removing squirrels from the attic? Getting rid of squirrels is a much bigger task than you might think, and effective solutions require a professional. We provide three options to get rid of squirrels; however, your best option is permanent removal. One-way Door/Live Trapping and Relocation. Permanent Control and Removal of Squirrels. This involves trapping and humanely euthanizing the nuisance squirrel and can only be done by a licensed company. This is the option that works and will humanely get rid of the squirrel, without causing prolonged stress to the animal. A one-way door allows squirrels to exit an area and then prevents them from getting back inside. However, if they have young inside, or they really like what is on the other side, they will find another way in. A one-way door combined with live trapping and relocation may seem like a great idea, but the law requires that they are released within 1km of where they were trapped and can only be done by a licensed professional. 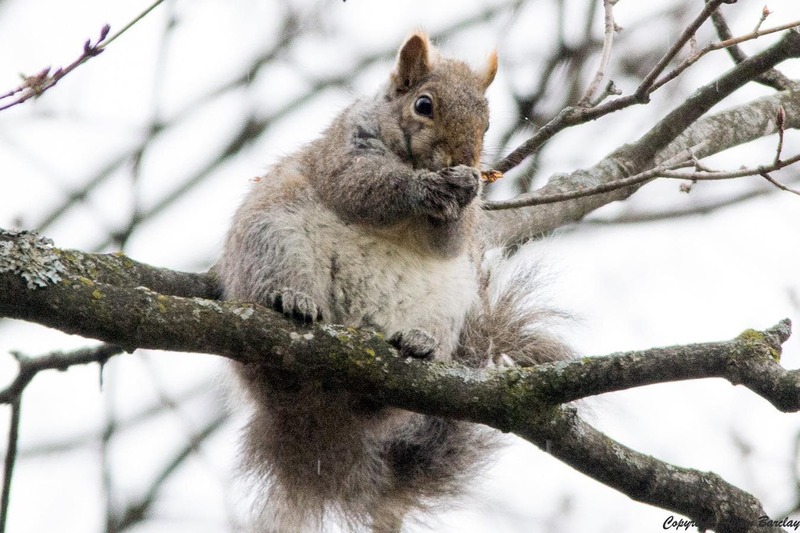 When a squirrel is relocated to another area, not only will they have to find new food sources and shelter, they will be exposed to territorial and social rank fighting with the squirrels that already live there. This can lead to suffering, painful injury or death for the squirrel. This is not a humane solution and is not recommended by many animal welfare organizations. Preventing squirrels from getting into your home can be a very difficult task. Raccoons and skunks will rip, pull or dig to get into an area, but squirrels will chew THROUGH materials such as wood and heavy plastic. They have very strong teeth that continually grow, so not only do they have strong teeth, they have to chew and will do so continually for extended periods of time. They will not give up on getting into an area if they think they have a chance. They can climb up trees and brick buildings and will leap as far as 6 feet to get access to your roof or windows. Their tenacity means that you will need to do some serious reinforcements to keep them out. Unlike other Ontario animal control operations, Hawkeye is a licensed furbearer trapping company that can employ all of these methods to provide you with the best permanent solution. Squirrels pose a much greater risk than eating your bird seed. When the weather starts to get cold, squirrels start to look for warm shelter, which often includes roofs, attics, walls, sheds and other buildings. 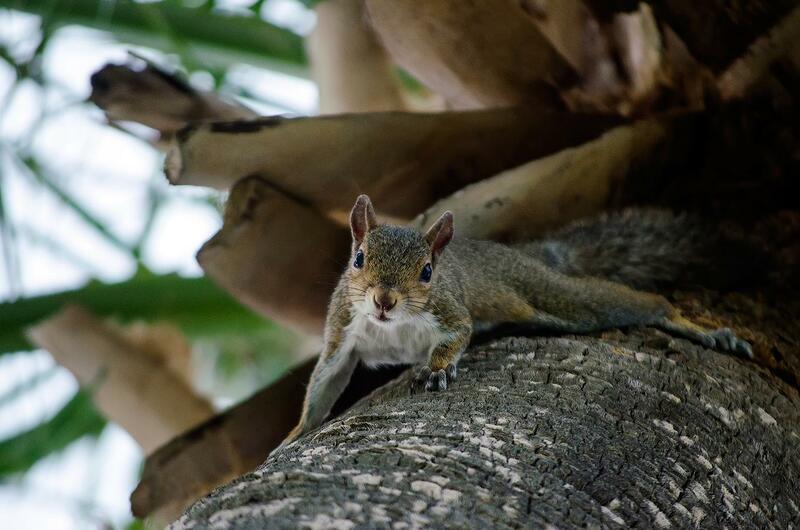 Squirrels are excellent climbers and can find the smallest opening or weak spot to chew their way in. Once inside, they do a lot of damage including chewing electrical wires, insulation, drywall and more. They can be very clever when making their entrances and often it isn’t until people hear scampering about in the walls and attics that they realize they need help with squirrel trapping, control and removal. Once inside, their need for constant chewing means they will chew on insulation, wood and live electrical wiring. Since squirrels can easily get into small areas in your attic or between walls, you are unlikely to see the damage before it’s too late. If you are lucky, this may only lead to an electrical outlet not working, but chewed wires can cause serious fire hazards. When Hawkeye helps you with your squirrel removal and control, we will also provide you with the information you need to ensure your wiring is safe and secure. You might be considering getting rid of squirrels on your own with live traps or poison. Neither approach will work. Squirrels learn quickly to avoid traps, especially if they are not set up properly or in the right place. Poisoning a squirrel or other rodent, can lead to serious implications with accidental, non-target poisoning of dogs, cats, birds of prey and it is ILLEGAL in Ontario. Below, we have a residential home which was high up and difficult for even our technicians to access. The metal access louver door that had been preyed open by squirrels and they were nesting inside. Close ups of the area show the access door opened, the wood chewed away and the insulation mixed with twigs for the squirrel’s nest. This made for the perfect squirrel home, but a big problem for the homeowners. CALL HAWKEYE TO PROTECT YOUR HOME FROM THIS TYPE OF SQUIRREL DAMAGE. 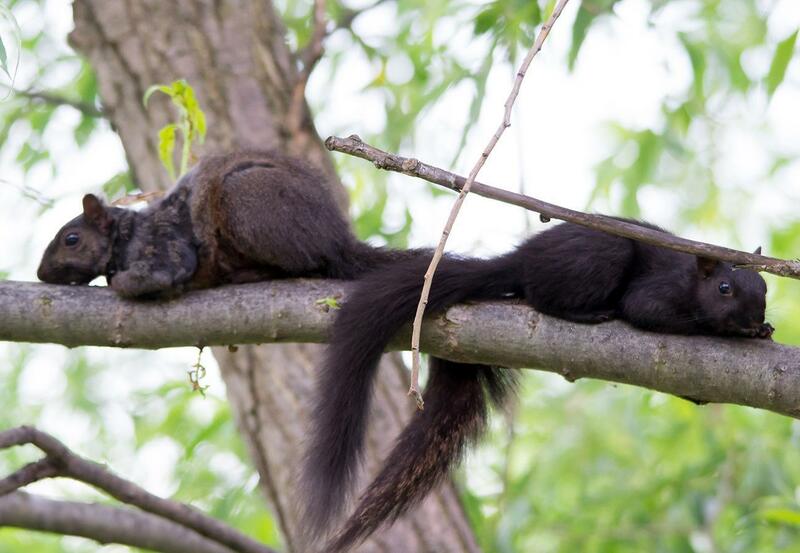 These are the commonly seen grey and black squirrels. Although different colours, they are the same species. They have been clocked at speeds up to 32 km per hour, but the average speed is around 19 km per hour. They are the largest squirrel in the Toronto area, and the oldest, living with an average of 12.5 years. Grey Squirrels are very social with overlapping ranges. They have a well-established pecking order in their social circles and often fight with each other to establish this. In the warmer months, squirrels are active first thing in the morning and midday (if it isn’t too hot). In the winter months, they are most active midday when the temperatures are the warmest. Squirrels have two litters per season (between February and March and again between July and August, with one to three babies per litter. This makes for an ongoing supply of local squirrels. Grey squirrels live above ground in the warmer months, building leaf nests in trees from leaves and twigs. As the temperatures drop, they will begin to look for warmer winter homes in tree cavities, or other warmer areas, including roofs, sheds and buildings. This is a smaller squirrel in the Toronto area, living only an average of 5 years. 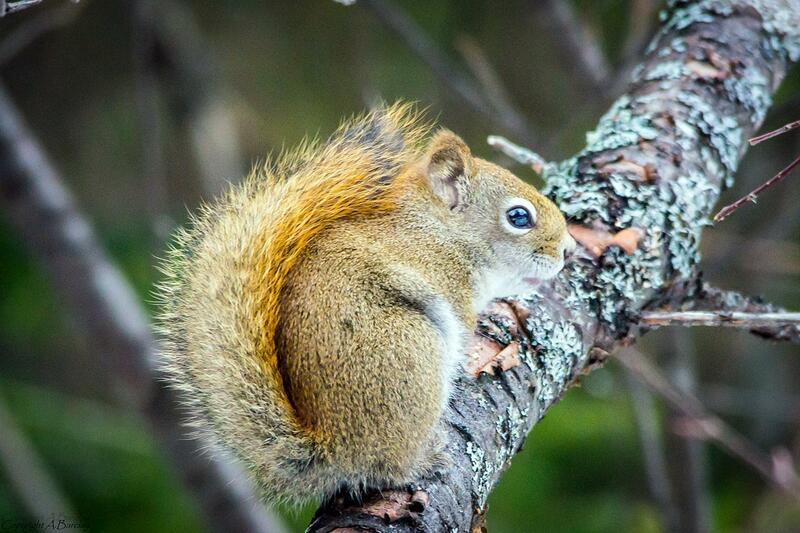 Red squirrels prefer areas with conifers such as pine and spruce. Red squirrels are very territorial and aggressively defend their area, even against larger animals.